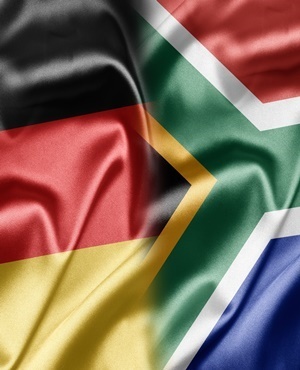 It is very important for the business sector in South Africa to have a unified voice - something which is sorely lacking at the moment, according to Matthias Boddenberg, CEO of the Southern African German Chamber of Commerce & Industry. "A unified voice from business in SA is needed in order to be able to tell government what the sector expects it to do in order for the economy to improve," Boddenberg said at a recent meeting of the chamber in Cape Town. He said one of the biggest challenges directly affecting German companies in SA, is the worsening situation at Eskom. "There is no more time to wait. The problems at Eskom must be tackled now or it is heading for a serious crisis, especially regarding its financial situation and about supply," said Boddenberg. On top of that, heavily indebted state-owned giants like Eskom and Transnet could affect SA's credit rating and then impacting the interest rates at which companies in SA would be able to borrow money. At the same time, the chamber had its busiest year ever in 2018 and, according to Boddenberg, it looks like 2019 will not be much less busy, with various visits by overseas delegations planned. "SA has a challenging year ahead. When President Cyril Ramaphosa took over, we felt a wind of change, which has since subsided. Now the country is 'paralysed' until the elections," said Boddenberg. The chamber's plans for 2019 include an increased focus on skills development as well as addressing ways to deal with water and energy challenges in the SADC region.